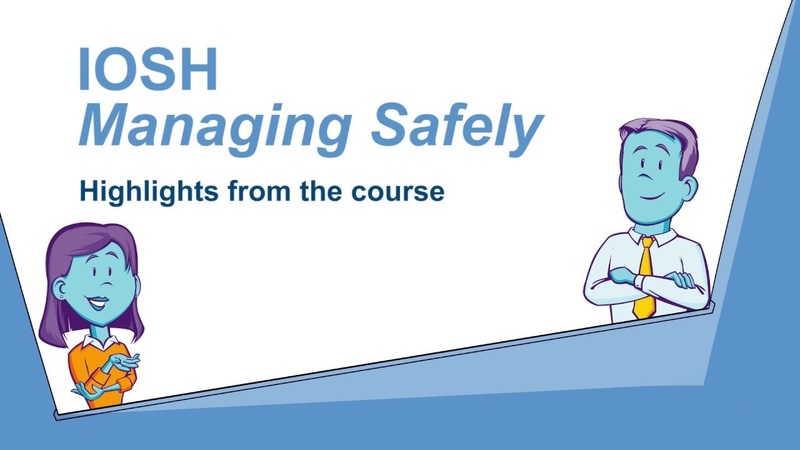 What is IOSH Managing Safely And How It Will Help You In Career Growth? The IOSH Managing Safely training is the most popular course which is designed to provide a proper knowledge of health and safety management. This course is aimed at the managers and supervisors in any company and in any sector. This course provides you with a full knowledge and skills of how to identify the risk and how to handle health and safety responsibilities in the workplace. Furthermore, there are many training centers that provide training in IOSH Managing Safely course, while the many organizations are proving in-house training to their workers. Thus, through this training course, the individual can learn about the other aspects of health and safety to implement changes to make the workplace safer. Who can attend IOSH Managing Safely training? This training course is for those who are working in a company on a manager and supervisor position who manage risk and resources. This course is aimed to provide vast health and safety skills or knowledge to reduce the chances of accidents. The certified IOSH managing safely workers can analyze the workplace where the accident occurred. The health and safety skills enable them to access and control risks and hazards. The advanced training will make you able to assess risks. In order to solve issues, you can use your skills to overcome the situation. It is the responsibility of the manager to handle and manage the health and safety in the company. Managers or supervisors with a proper skill set would be able to identify and control the risks and protect the environment. It has proved as one of the best courses that will help Managers or supervisors to implement effective solutions across all the areas of the company’s operations. This course with proper skills or knowledge enables managers to take a complete responsibility of workplace safety, including both onshore and offshore. It also helps you to identify hazards and effective solutions for it. You can boost your performance by implementing your skills in health and safety in the workplace. This course provides you with a proper skill set to perform various tasks in the industry. Whether you are working in the manufacturing industry or oil & gas industry, the exceptional IOSH Managing Safely Training will add more value in your performance as you can easily handle all health and safety tasks. As a manager or supervisor, you can work anywhere in the world on an impressive salary package. You will work parallel with other team members that mean you will learn more about the new things. You will familiar with the health and safety responsibilities. Why Is Medical Assistant Training Beneficial For Healthcare Professionals?